In terms of timing his retirement, Fergie couldn’t have done any better. 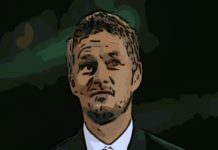 The players he flourished with at Manchester United were ageing, and those who had the responsibility of continuing Sir Alex’s legacy were clearly not up to standard. 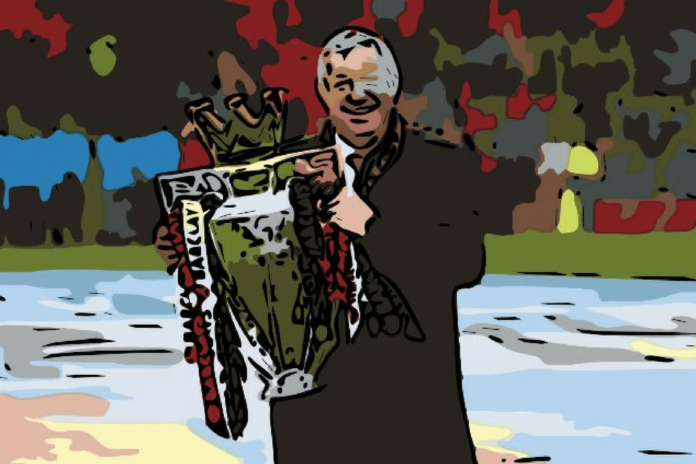 Fergie’s 13th Premier League title – also United’s 20th – was perhaps one of the club’s unlikeliest. United had the title snatched from their grasps by Manchester City on the last day of the previous season. Many took this as a sign for a new dominant force in English football. Nevertheless, Fergie knew that if this was his last outing at the helm of United, he needed to make sure he finished just as he started – a winner. It would have been tragic to see Sir Alex decay into a shell of his former self. Anything other than a gleaming success would be disappointing – especially for Fergie’s standards. Thankfully, this wasn’t the case. Leading up to the season, in the summer transfer window, Fergie made a number of signings to bolster up his squad. Most notably, was the arrival of Robin van Persie from Arsenal for £24 million. Throughout the summer, it seemed settled that van Persie would be tempted by the success of United’s rivals Manchester City. Thanks to the ‘little boy’ inside van Persie, a move to Old Trafford was one he couldn’t refuse. Another arrival that excited fans was Shinji Kagawa from Borussia Dortmund. Fergie looked to change his tactics and joined the rest of his rivals in implementing a 4-2-3-1 system. The signing of Kagawa suited this change perfectly, given he scored 13 goals and assisted eight at number ten the previous season. Joining United’s defence was Dutch left-back Alexander Buttner. With Patrice Evra entering the wrong side of 30, Fergie needed to look at a long-term replacement for the Frenchman. To indicate how successful each of these coups were, simply refer to each of them as a colour on a traffic light. At red we have Buttner, making just five appearances in the league. Amber, we have Kagawa, who despite only featuring in 20 games managed to score six goals and assist three. And finally, the glowing green light, we have van Persie. Perhaps United’s main weakness during this season was their over-reliance on van Persie. The Dutchman featured in all 38 Premier League that season, scoring an impressive 26 goals and nine assists. Van Persie was in the form of his life during this season, and ten man-of-the-match awards only proves so. He scored on his home debut, a hat-trick on his first away start, and secured the title for the Red Devils after another hat-trick against Aston Villa – a game in which he scored that goal that was awarded Goal of the Season. Given his age and his struggles with injury at Arsenal, fans were right to question how sustainable the signing was. Especially when United forked out £24million, an absurd fee for a 29-year-old at the time. Nevertheless, after his form deteriorated in the following seasons, £24million for just that one campaign was a bargain in retrospect. While I highly doubt Van Persie will go down as a United legend, he will certainly be remembered as a crucial player in a crucial moment in United’s history. 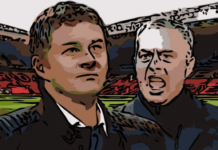 This season saw Sir Alex begin to move away from the formulaic 4-4-2 structure. Instead, Fergie utilised relentless attacking football as part of a 4-2-3-1. United’s midfield was a clear area of weakness. Scholesy and Giggs were well past their prime, and the side longed for another Roy Keane or David Beckham to boss the middle of the park. Fergie realised his side’s weaknesses and trusted his back four to be strong enough to cope with the shakey midfield in front of them. 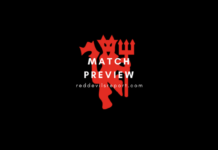 Patrice Evra, Nemanja Vidic, and Rio Ferdinand were still at the heart of United’s defence, joined by Brazilian, Rafael, who enjoyed an impressive campaign at right-back. This season was a landmark for Michael Carrick. Quite possibly his best in a United shirt. Carrick pioneered the role he would continue to fill in what remained of his playing career. The midfielder sat in front of the back-line, clearing away any danger and utilising his incisive passing ability to spur his more mobile team-mates on the counter. He even finished the season with an impressive 89% pass success rate. Partnered with Carrick in midfield was a mixture of Tom Cleverley, Anderson, and even Ryan Giggs. Thanks to Carrick’s reliability in being United’s rock in midfield, these players were given a lot more freedom to join in on the attack. Giggsy offered added maturity in midfield. While he clearly wasn’t the zipping winger we all knew and loved, his technical ability on the ball was still unquestionable. On the wings, Antonio Valencia, who was now United’s new number seven, played a more traditional winger role. He certainly did not have the finishing ability as some of his colleagues, but hugging the touch-line and pelting in crosses was where he was most dangerous. On the left-hand side, Ashley Young featured the most. Though, he was closely followed by Nani. Here, both players operated as an inverted winger, cutting inside to the inner channels to take a shot on goal or make a cross. Then, up front, we had the partnership of Wayne Rooney and Robin van Persie. Many questioned how the gaffer would fit these two into the same starting line-up. Van Persie featured as United’s sole number nine, while Rooney had begun his descent into a deeper number 10 role – one he would sink deeper into as his career went on. Rooney bagged ten assists during this season as well as 12 goals of his own. It was certain that Rooney had become more of a playmaker than a finisher after the arrival of van Persie. Whether this caused the turbulent years ahead for Rooney in which we saw him continuously linked with a move away is yet to be seen. While a lot of Fergie sides have been known for their defensive solitude, this one operated more as gunslingers. United weren’t afraid to enter a shootout with their opponents, as evident in games such as their 2-1 win over Manchester City. 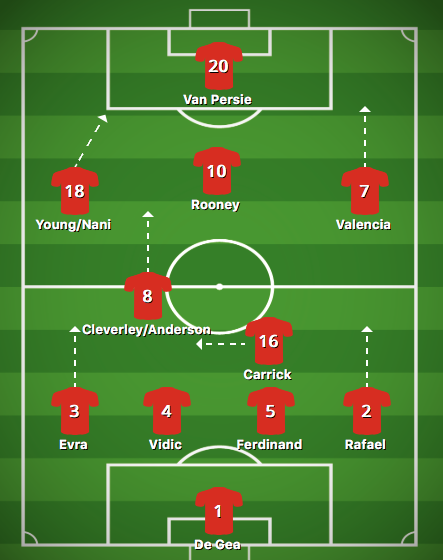 With the partnership of van Persie and Rooney, the side were certainly well-equipped to score goals for fun. However, there’s no denying that this was possibly one of the weakest of Fergie’s teams on paper to win the league. As the following years of turmoil showed, the players found it hard to cope with Fergie’s retirement. Having inherited more-or-less the same league-winning side, David Moyes led the side to their demise, finishing seventh the following season. Perhaps this is a testament to Sir Alex’s skills as a gaffer. His man-management was top notch, he knew how to adjust his tactics, and more importantly, he knew how to win. United’s 20th Premier League trophy was not only Fergie’s last before retiring, but it was the last time the club won the trophy full-stop. Previous articleWhy is Paul Pogba more effective for France than Manchester United?